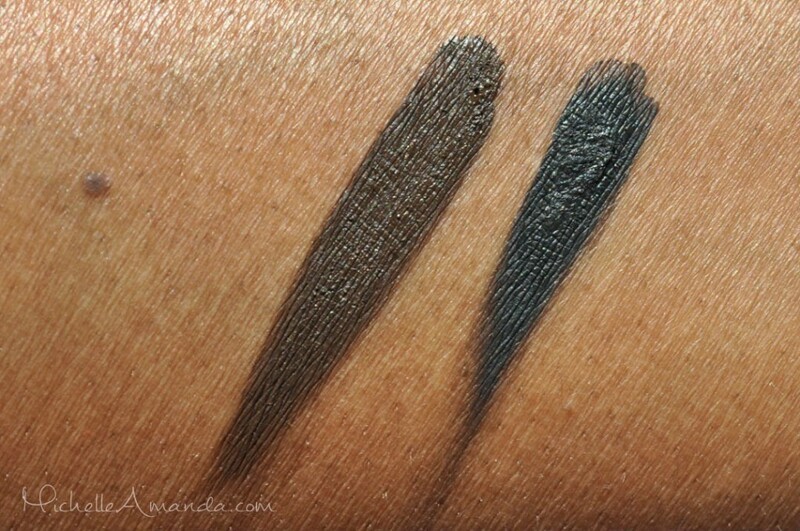 These brow gels are available in 5 shades. Blonde, Brunette, Espresso, and Black are very cool toned. 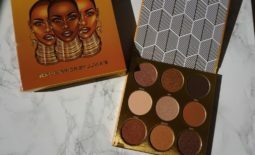 So if you’re looking for a warm brow product you only have one option, Chocolate. I picked up the shades Espresso & Black. 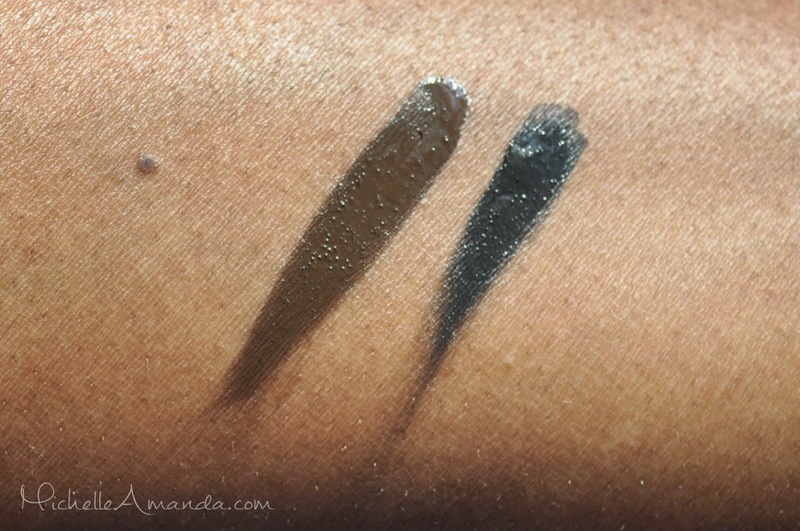 These brow gels appear to be a lower-priced dupe to Makeup Forevers Aqua Brow ($7 vs. $30). 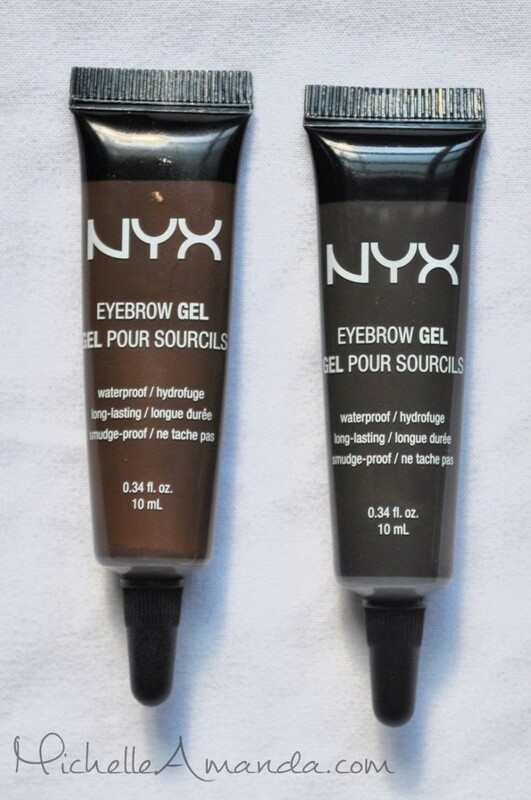 I’ve been testing these brow gels for about a week and so far they live up to NYX’s description. 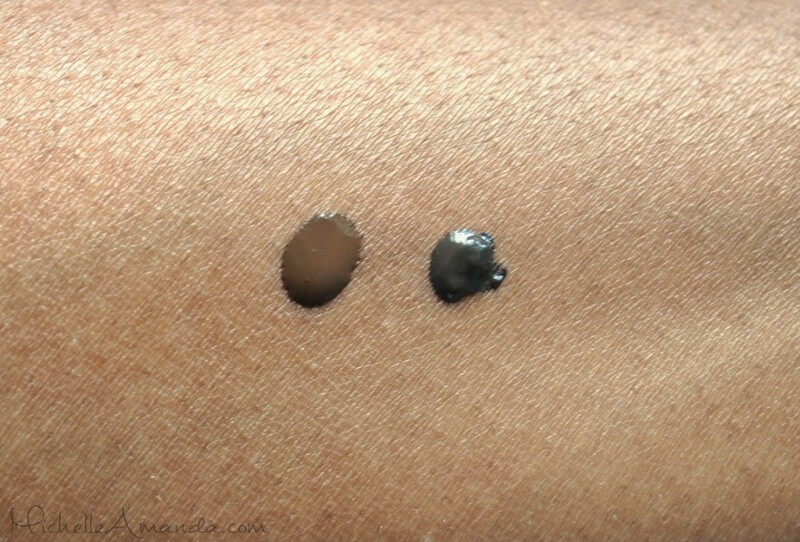 They are definitely highly pigmented, the little dot I used in the swatch is more than enough to do both brows. 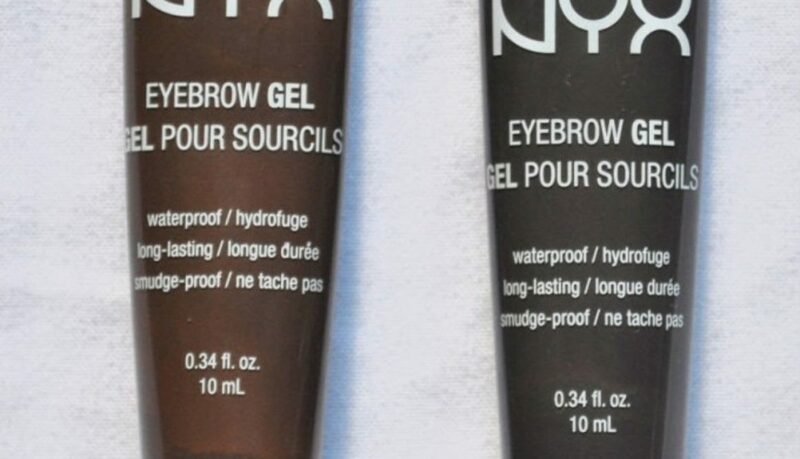 These brow gels dry quickly but not so much that you have to rush. They have a light hold that lays your brows down but doesn’t make them crunchy feeling and they last FOREVER! It’s been pretty hot and humid here in Michigan but they always last all day without smudging. I haven’t tested them on my brows while swimming but the swatches on my hand lasted through several hand washing throughout the day. You definitely need a waterproof makeup remover to remove these, my usual wipes just don’t cut it. The only thing I may disagree on is the “easy-to-use” claim. 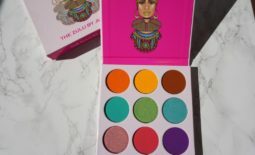 There is a learning curve when it comes to application because they are so highly pigmented. I accidentally gave myself sharpie brows the first time I used it because I used way too much product. The best way I’ve found to use the product is to put a tiny dot on the back of my hand and use an angled brow brush to apply. I dip the brush into the product, DAB OFF THE EXCESS ONTO MY HAND (very important! 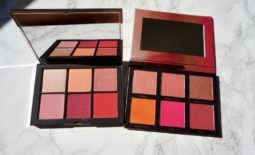 ), apply with light strokes to my brow and then brush through with a spooly to get everything blended and laying the right direction. Overall I think these brow gels are excellent especially for the low price. 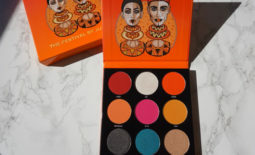 The mostly cool toned shade range may disappoint some but the performance of the product won’t. Thanks for this review! I'll definitely be trying these out!